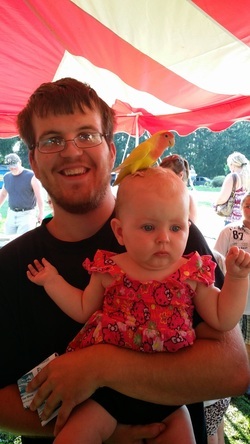 August Fest Cedar Creek Park - That Guy with the Birds! August 10th August Fest Cedar Creek Park! Paul Valerio, a photographer that shared a few shots in the gallerey below! Thank you to all that stopped by to see the program and we hope everyone had a good time and more importantly, we hope you learned something! Beautiful day at Cedar Creek Park!